WordPress intends to make the process of website design & building simple and hassle free. WordPress is Free- WordPress does not charge you anything and there is no hidden fees also. You can design your website for free as per your needs and specifications. So, save the money that you would otherwise had to pay to the designer. Ease of Use and Accessibility- In WordPress, you can make changes or edit the content on your own. It is very easy and simple to use. You will have a website design, which you can easily maintain on your own without any expert. Furthermore, to access WordPress, all you need is a computer with an Internet connection. Works for Blog and a Website Both- Initially, WordPress was used only for blogging but with time it has grown into a full- fledged web content management system. So it is best to use both for your blog and website. Abundant Themes- A lot of well-designed themes are available that you can use to enhance the visual appeal of your website. You can go through various options and choose the one that you like the most. You can go for an affordable pre-designed theme or get one custom designed for your business branding. Free WordPress themes are also available. SEO-friendly – Search engine optimization becomes very simple when WordPress is used. Using some plugins like All-in-One SEO Pack and SEO Ultimate plugins, you can easily get good search engine ranking. Flexibility of usage- WordPress is a complete CMS (Content Management System) that allows you to design a site with immense flexibility. It offers you loads of components like buttons, images, contact form, etc. that you can incorporate in your WordPress website design. Plugins for additional functionality- By adding a few plugins, you can add additional functionalities to your blog or a simple website design transforming it into a multi level, full service site. You can even develop a fully functional e-commerce system through WordPress by inserting a few plugins. Open Source- It is an open source and is not bound by any restrictions. This gives you the freedom to choose and host your website, anywhere you want, hence, giving you complete control over your website. Makes Website Mobile Ready- WordPress automatically gets to know where the person is viewing your site, on a mobile or any other device and displays the content accordingly. Popularity and a good support system- It is the most popular web platform, and almost over 23% of all websites are powered by WordPress. 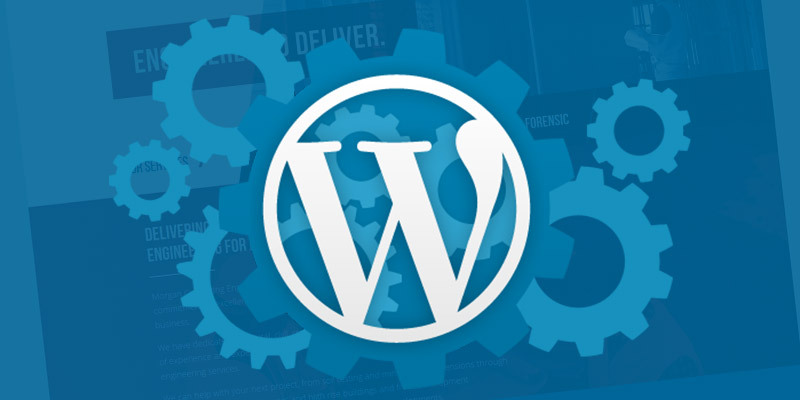 Moreover, if you are stuck anywhere while experimenting with its elements, you can easily get help and support because WordPress has a huge community of reliable users who are always ready to help each other.